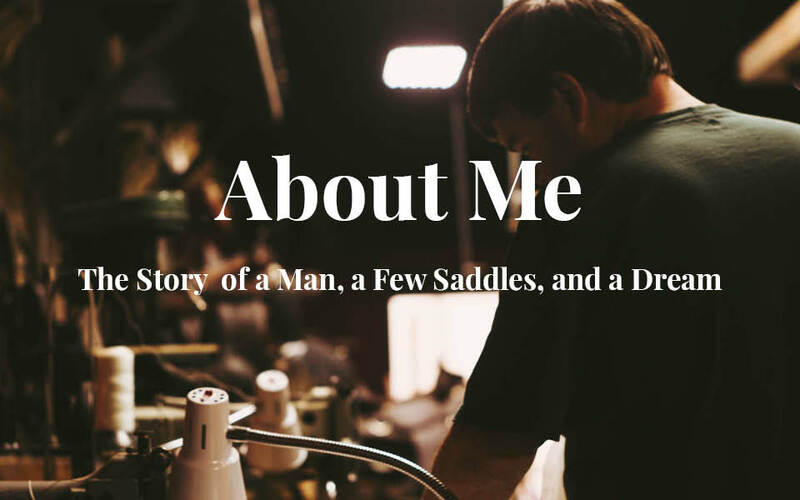 The story of a man, a few saddles, and a dream. I’m Kevin Parrish, but you can call me The Saddle Guy. When I turned thirteen, my Dad thought it was a good time to put me to work in his saddle shop in the garage beside our house. I worked in the evenings and weekends all through school until I graduated and went off to Auburn. It didn’t take long to see that college and me weren’t a good fit. Until then, I had never loved the saddle shop, but something in me had changed. Now, I found the design and artistry of saddle making to be very fulfilling. I got three more years working with my dad until he retired to that great, big saddle shop in the sky. I kept his shop going for a couple years then got hired on with Tucker Saddlery in Memphis. There, I was fortunate enough to work with the absolute best group of professional craftsmen that I have ever known. Those years were like captured lightning in a bottle. Later Tucker purchased Circle Y and most of the operation moved to South Texas – including my job. And I moved with it for a time, but Texas and I simply weren’t meant to be. So I went home. I unpacked my old stitching machine, my dad’s toolbox, and built a workbench in my own garage. I put my nose to the grindstone and started building The Saddle Guy. That was twelve years ago. These days I am a little older, hopefully a little wiser, and thankfully knee-deep in saddle work. I’m surrounded by good people who believe in me; I know and love the Lord, and he has blessed me with the greatest gift, my beautiful wife, Whitney. The shop is now located at Circle V Saddlery in Robertsdale, Alabama. If you’re ever heading to Gulf Shores via Hwy 59 South, stop by and see us.